Dr. Cindy Katanick was born and raised in Detroit, Michigan and watched Marcus Wellby, MD as a kid. Since then she always knew she wanted to become a doctor. 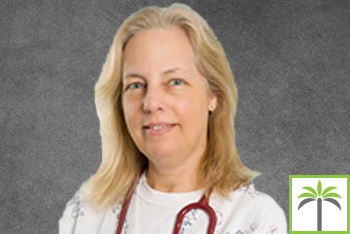 Dr. Katanick began to pursue that by attending Michigan State University for her undergraduate studies. Following that she attended Medical School at the University of Osteopathic Medicine and Health Sciences in Des Moines, Iowa. Dr Katanick completed her internship at the Oakland General Hospital in Madison Heights, Michigan and her Family Practice residency at Southeastern Medical Center in North Miami Beach Florida, which brought her to Florida. Dr. Cindy Katancik has been practicing in Plantation, Florida for the past 8 years with AssociatesMD Medical Group and is located in the Medical Arts Building behind Westside Hospital. Her patients love her dedicated spirit and encouragement she provides them to live a healthy life!